We recognize that video is being handled by a huge range of different companies for a vast array of purposes. 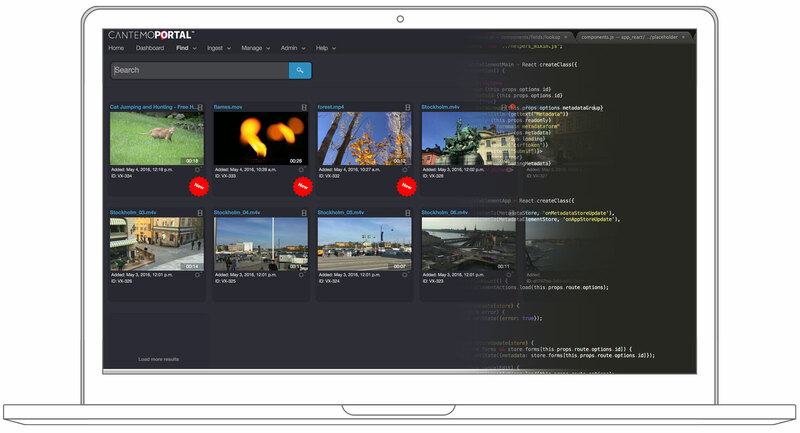 Having an open API and open source interfaces allows easy extensive extension of the fundamental Cantemo Portal™ media asset management solution. This means that you can start small and scale the solution as your needs may grow and tailor the core system features to fit your exact needs. Our extensive REST API opens up the entire media backbone for accessing and modifying by any third-party module. This includes accessing all information about media, metadata, users and groups, storages, and more on the system in real time. A number of our partners have already created a range of applications that integrate directly with Cantemo Portal and extend the functionality. Overwrite existing Cantemo Portal functionality and behavior. Tailor the system to client and user needs. 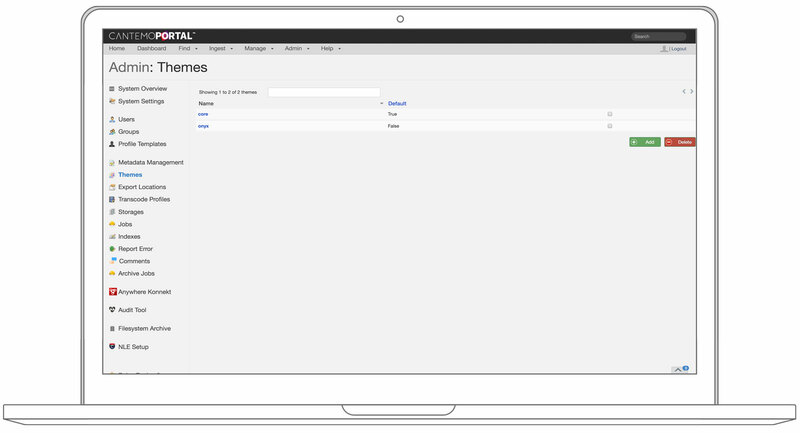 We use the same toolsets internally to build our own apps and themes, which enable our customers to add customizations. We are constantly developing new apps to integrate into Portal, based on what our customers are trying to achieve. Ultimately, it is about making the workflow more efficient, giving our customers those useful integrations and additional functionality, and making life that much easier for the user! Optimize the flow of information presented in the interface for different types of user. Meet the specific end users' needs and requirements in terms of interface look, feel, and functionality. Smart Device Render skins for e.g. smart phones, tablet computers, and other hand-held devices. We have separated the programming and system logic from the presentation layer. The presentation layer uses Django Template Language which doesn't require programming skills to understand and work with. As the theming feature incorporates with the user groups and rights in the system, it is possible to tailor an interface for each type of user to meet their specific needs. This is done through the layered design of Cantemo Portal™. By gathering and assembling information in the data layer and feeding it to the presentation layer, we can easily manipulate what is shown and how it is shown.